Tater tots. We all used to look forward to them that one day out of the week when the cafeteria would serve them up for lunch. Of course that deep-fried goodness isn’t particularly a part of my family’s current eating lifestyle and I actually have no means (or clue) on how to deep fry anything. Sorry, South. Guess I’m still a Yankee. I don’t have anything against potatoes and I love a few good french fries once in a blue moon, but when I first heard about swapping white potatoes out with cauliflower in tot form, I was definitely excited about trying them. I have been making different varieties of mashed cauliflower for years now, so this seemed to be the logical next step. So far, I have made two batches of cauliflower tots from different recipes on the web, but both times, The Russian was far from enthusiastic about the taste and Sugar Bee wouldn’t even try one. She’s the cauliflower freak (raw with hummus, of course) and I thought she was going to be the perfect tester. Nope. I ended up eating both batches (these were two very separate instances) and I felt like there was a thing or two missing from each recipe. 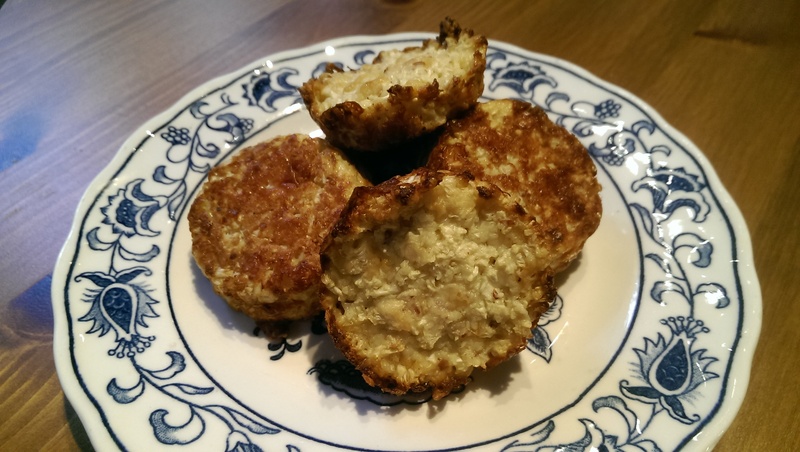 Which brings me to last week when I finally decided to play around and create my own version of cauliflower tots. They are so fast, cheap, and easy (my three favorite things) that you will hit yourself on the head as to why you haven’t tried any of the many recipes out on that Pinterest thing. 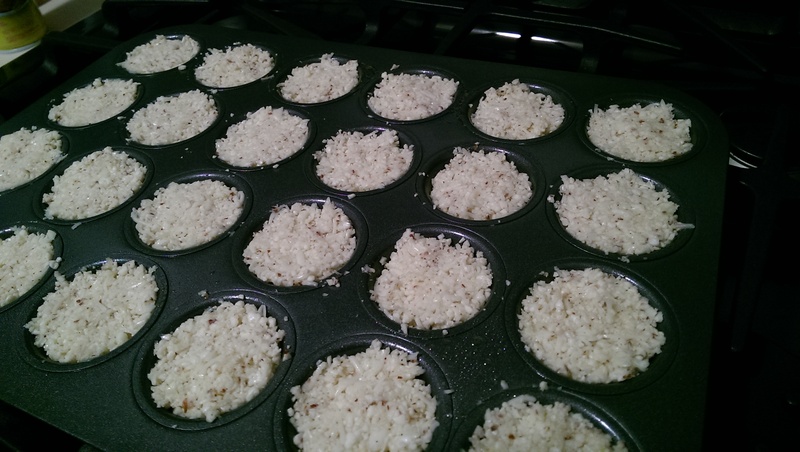 Take out food processor, chop cauliflower into rice-like pieces…… …put in bowl with all of the other ingredients and mix thoroughly… …spoon into greased mini muffin pan and bake. Seriously so freaking easy. Just try it tomorrow. Or maybe even tonight. Did I mention that they are delicious?? The Russian easily ate a third of the batch after tasting his first one. Not only did Sugar Bee try one, she ate three of them at dinner. And I could have eaten the whole batch. This version has cheese and I am going to work on a dairy-free version next, inspired by a comment from my Instagram of this success. Ditch the deep-fried potato goodness and give these healthier baked tots a try. Extremely high in Vitamin C and a great source of B-6, magnesium, iron, and calcium, a head of cauliflower also offers you around 11 grams of protein. After you make these, it will be easy to eat half of a head in one meal as you fill your belly with this kid-approved tater tot replacement. Preheat oven to 400ºF. 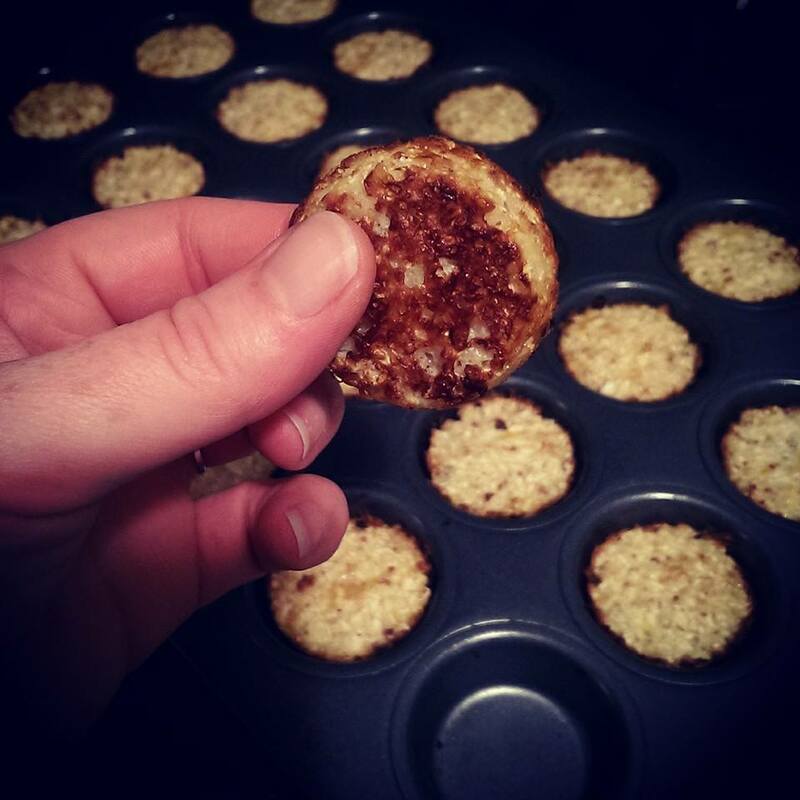 Lightly grease a mini muffin tin with cooking oil or spray. Remove main stem from head of cauliflower and break into pieces. 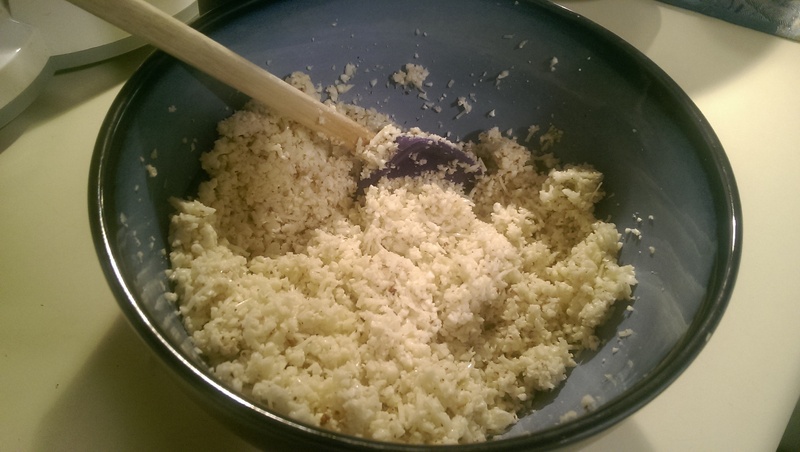 Place in food processor and pulse until finely shredded. Smaller stems are okay to include. 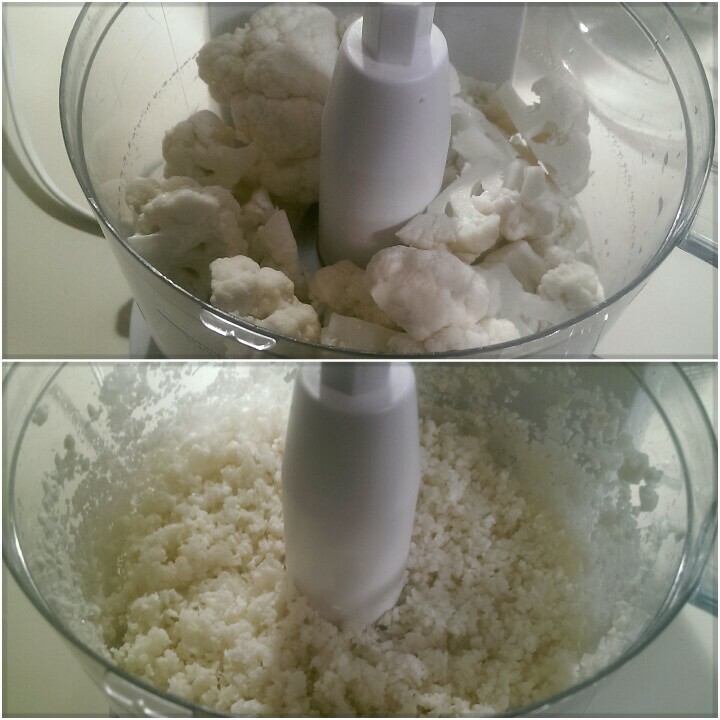 In a large bowl, combine the shredded cauliflower with all of the remaining ingredients, stirring well to distribute evenly. 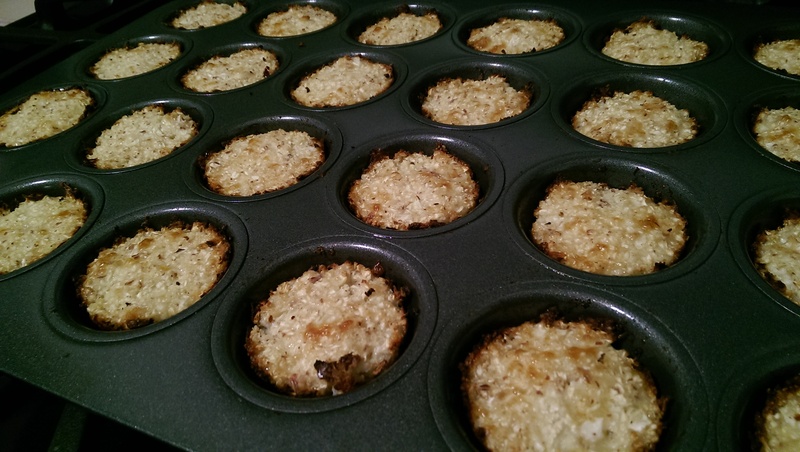 With a spoon, scoop the mixture into each muffin cup, pressing down firmly with your fingertips as you go. Bake for 20 minutes until golden. Enjoy! Categories: budget-friendly, gluten-free, recipes, Uncategorized, vegetarian | Tags: cauliflower, cauliflower tots, caulitots, gluten-free, grain-free, tots | Permalink.